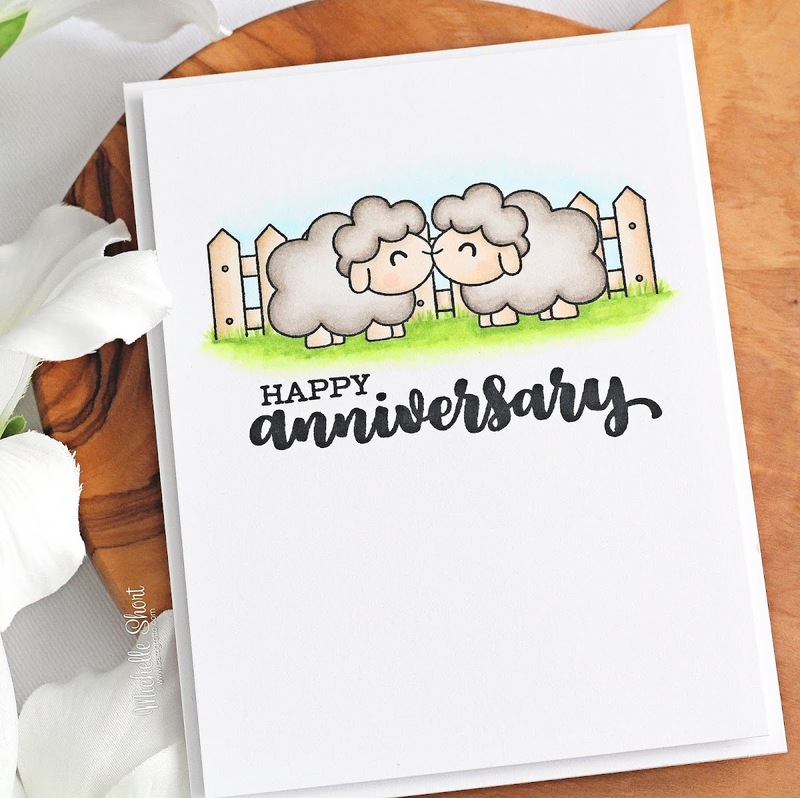 Hello there, today I have a card to share that combines a few Clearly Besotted stamps to make a cute anniversary card. I started off by stamping the sheep pair from the Kiss Me Quick stamp set on to a panel of white cardstock with Memento Tuxedo Black Ink. I made a mask for these and added it on top of the stamped images on my panel. 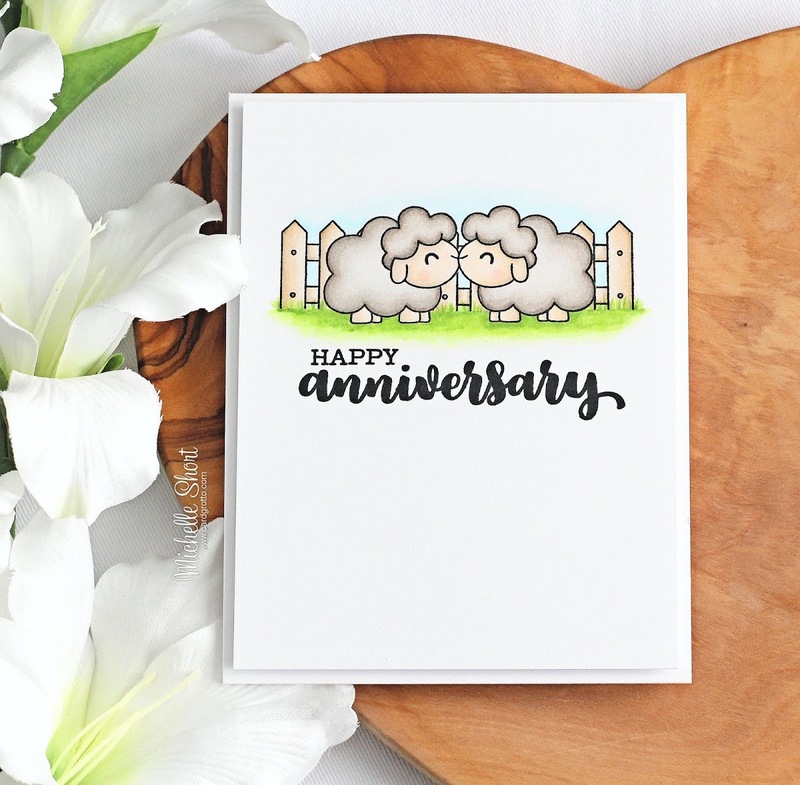 I then took the fence image from the Best Friends stamp set and stamped this either side of the sheep. I removed the mask and then stamped the sentiment below. I first stamped the 'anniversary' from the new Occasion Calligraphy stamp set and then added the 'happy' from the new Modern Calligraphy Additions stamp set above. I love the combination of these fonts. I the scene was then coloured with Copic Markers (the colours I used are listed below the supplies area). The panel was then simply added to an A2 white card base with foam sheet and DST. COPIC MARKERS: Sheep - W5, W3, W2, W1, W0, E53, E51, E50, R00. Fence - E43, E42, E41. Grass - YG17, YG23, YG03, YG01, YG000. Sky - B000, B0000, 0. Aren't those sheep just adorable? I love them! Thank you so much for stopping by to see me today, I really do appreciate it. Have a great day and a wonderful week. Michelle this is absolutely gorgeous. Love your colouring on the images, brilliant. I love this set from CB to as it's not only extremely cut images but fabulous sentiments & so versatile. 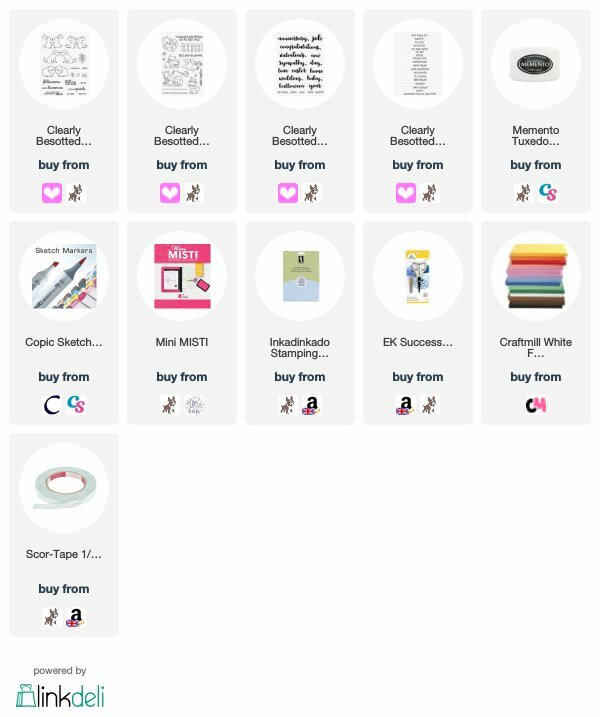 It's on my list for Santa with a few ( lots) of CB others hehe.Thanks for a great share.